When a company expands its offices to remote locations, sometimes power dependent Biometric Attendance Machine can’t be deployed or act efficiently. This can be due to constant power cuts or fluctuating power supply Star Link is here with the best possible solution, Industrial Bio-Star. 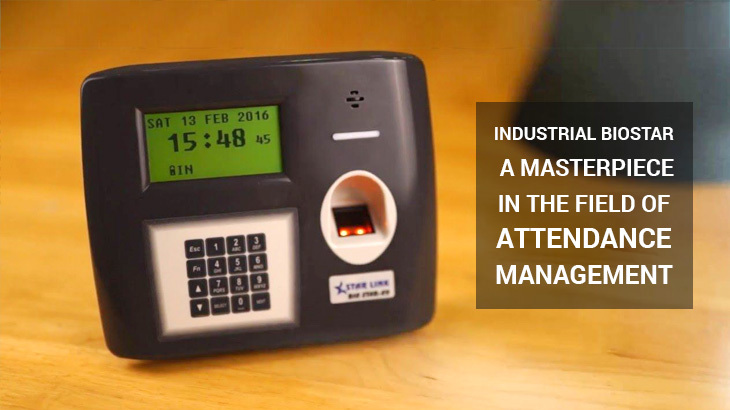 Bio-Star is a state of the art fingerprint access control system which deploys cutting-edge technology and can very well be called a masterpiece in the field of Attendance Management through Biometric Devices. Bio-Star can pull one over any other Biometric Reader due to its unbelievable feature which makes it flexible to use in any situation. Bio Star has improved many features which can help the company to track employees more efficiently and it can also be used at many other places. Bio Star can be used in a remote school to keep track of the staff. In India, this technology can make the educational system more efficient in remote villages and cities. The new and improved Bio Star is the Biometric attendance system that employs various latest technologies which can change the way companies go for attendance management. Bio Star runs on a Lithium-Ion battery which makes it usable in case of power cuts and fluctuated power supply. In case of any voltage drop or heat damage, the device automatically shuts down and keeps the data safe from any vulnerability. It can be charged even when the device is shut down due to some technical reasons or manually. With a charging time of just 75 minutes, the device can run for around 4 hours. Its 2200 mAh battery has to be charged at 12V to 14V and it is good to go. It has a new and stylish graphics LCD display which can show necessary information to the employee. It has more than 5 lacs recording capacity with up to 9,560 finger templates storage capacity. Bio-Star is featured with an audio message in English or Hindi and visual message to confirm the punching status. It also supports or any other regional language. Considering that it can work at any remote location, it is a very important and magnificent progress for companies working in India with different physical locations.